Foscam sent me a picture with the new sticker layout that comes with the FI8908W produced from October 2009. It was supposed to help identifying a Foscam camera from a clone. And, guess what? It does exactly the opposite ! The MAC address: the first part of it identifies the Ethernet controller manufacturer (00606E is for the Davicom). So, this is official: I'll just stop trying to distinguish them visually at all for now on ! It appears to be a waste of time! But why is it important to distinguish a Foscam from another clone anyway ? Well, first of all, to avoid bricking your camera if it's from another manufacturer. I initially didn't look for a particular 'brand' of ip camera, just the cheapest, and it occurred that I received a Foscam in the first place. - It is simpler to keep all the cameras under the same firmware line. All these are added values to such a cheap product and good reasons for me to stick with this brand. So if you happen to have an IP camera that looks like a Foscam FI8908W, the hardware won't make the difference, but upgrade availability and customer support will. Foscam just sent me their latest firmware update 11.14.1.46 for FI8908W. For some unclear reason, I bricked my older IP camera with this one but Foscam re-tested the same firmware file on a FI8908W and confirmed that it works. My second camera updated fine, so this update seems to be as safe as the previous ones. It is still quite new (received yesterday), so I don't know yet what are the exact improvements, but I can already say it's not in the area of uPnP that remains as useless as before. I do not see anything new on the interface which is logical since there the WebUI file hasn't changed. As always, make sure that your ip camera is compatible with Foscam firmwares and in doubt, ask the reseller to confirm the origin of the device. For instance, New Star and MayGion are legal manufacturers of clones with different software and should be contacted respectively for firmware updates and feature requests. Steve, The camera has IR LEDs to illuminate the scene at night. So it is probably because the image sensor does not have an IR filter and you are getting a lot of infra red reflected from the foliage. I notice my (hot) orange lava lamp looks purple but things illuminated with compact fluorescent bulbs render normally. If you don't use the IR illumination of the front mounted LEDs and want to fix the colour rendering you could put an IR cut filter either in front or behind the lens. This is during the day, not night? maybe the sun causes the same affect? Not really using the IR no, i googled, it says to make one you can cut a floppy disk... but surely that will make everything dark?? did you try the different modes? especially the "Outdoor"? Yes thats what im using, 50\60 are just while..
i cut a floppy disk up. it did block most the white, but also really darkens the picture.. Yes, absolutely. The sun will cause the effect, lots of IR illuminating the scene there. Some fancy cameras have a motorised movable filter. It is put in place during the day for correct colour vision and at night it is removed for (black and white) IR illumination. I think floppy disc materials (and exposed 35mm camera negatives) are IR pass filters, it will pass IR and block visible, the opposite of what you want. This is more like what you want, http://www.sciencecenter.net/hutech/idas/uibar.htm however these are optically very flat for telescopic use and their price is (excuse the pun) astronomical. There must be a simple polymer (plastic) version but so far I haven't found one. Will let you know if I do. thanks, however im in UK and i wouldnt know which one id want.. lol? If you unscrew the lens (try to minimise dust ingress) you will see that there should be room to glue the IRC30-10R to the back of the lens with a bit of loctite or similar glue. Just make sure not to get the glue in the light path. Put a very small quantity on the lens surround only. I don't have my callipers with me but it looked like the 10mm diameter filter will fit when I just measured with a ruler. This is a reflective filer so it will probably have to be fitted with the reflective side facing forward (toward the light) or it wont work. "Hi--Can you provide the names of a few sellers on Ebay who are selling GENUINE Foscams 8904w and 8908w? A lot of sellers say they are but thought you may know for sure--Thank You-William-"
Thanks for your warm support on FOSCAM. This is Terry from Foscam, nice to meet you. We are collecting FOSCAM resellers on ebay now. We plan to put the link of them in our website once the collection done. If you want to buy FOSCAM cameras urgently, you could contact Andy.lig in Ebay first. He is a good reseller of FOSCAM in ebay. Foscam Intelligent Technology co., Ltd. Seems the download link has reached its max, could you repost? I've added some mirror locations (FileFactory) to overcome the bandwidth limit from DriveHQ. See the updated firmware history page. that's interesting! I'll compare the components with the ones from my dead Foscam. Thanks! 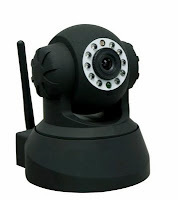 I recently purchased a IP WiFi Camera that is probably a FOSCAM FI8908W clone. The embedded webserver for the camera looks like FOSCAM, except its menus are on the right instead of on the left. The embedded webpage has a "Server Push Mode (For FireFox, Google Browser)" link. 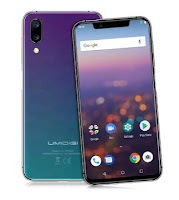 The Device Firmware version is 12.23.2.5 and the Device Embeded Web UI Version is 2.2.0.2. To be more explicit, we want the Device Managment > FTP Service Settings to have a "Duration" field that is paired with the "Upload Interval" field. This so we can look at the last day's or week's (or month's, etc) worth of images. Otherwise it appears the camera will upload images (without deleteing any) until it fills the FTP servers disk space. there's no loop feature in any Foscam firmware. i'll ask them, they may consider it for a future version. I'm a french buyer of this cam, and congrats for your help for managing it ! I bought this camera on ebay, I guess it's a real one, the pack is red and white, I have the new label... and it works with the new firmware 11.14.1.46 (I already had it inside, but I try to upgrade it with yours and it works !) So perfect !!! 1/ On the left menu there is no "multicam" option ! How is it possible ? 2/ On the very first days the send email option works, and as do not change nothing to my firewall or router, it does not work now ! I try everything ! 4/ Where is it possible to hear some sound from the camera ? Add where is possible to push some sound through the camera ? - settings not saved: I suspect the Server Push interface to not properly save some settings. It is still preferable to use the AX interface for this. Thanks Bubba for your answer. In fact, AX interface is the best way to manage the cam, yes ! And I discover your other pages about this camera. May be you can make a single webpage with all the informations you have ! What a good job you have done. I have a real trouble with mail transmission. Nothing happens (it works previously)... After 2mn when I try to send a test, the cam reset itself !!! I try many ports and smtp provider... nothing happens. An idea ? May I suggest some modifications you can ask Foscam to add for a new firmware ? * When the wifi connection is lost, the cam is not able to connect alone again. You have to reset it or to turn it off/on. Can they make a change to that ? For instance if the wifi connection is lot, after 30seconds the cam reset itself ? * The date and time reset each time you turn off/on the camera or reset it ? Is it possible to have an option that the camera keep synchronise with internet to keep the good time/date ? tags to group the posts related to ip cameras. The only problem I have with date is that, since it's a chinese product, they don't take DST into account. For the SMTP, it's strange, the usual problem is that people want to use SSL hosts like Gmail which is not supported by the camera. Maybe your flashing went bad somehow and a re-falshing or downgrade could help ? If you do I suggest doing this through the Ethernet cable. I did a official fw flash to my official Foscam camera via Wi-Fi (most of the time it works) but ended up bricking one of them. How can i change the by ftp uploaded filename to a non changing name? there's a request pending by Foscam to add this feature, but for the moment it's not possible. I just purchased IPCAM02 from one of my work buddies. He brought it for me from Hong Kong but not quite sure what was the store called. I've read almost every single word you wrote in these beautiful posts, but unfortunately still can not find out how to tell if I have original FOSCAM model. Once you plug it, you'll have more ways to verify if the camera is a Foscam or not. The box is similar indeed but that's also the one used by some copies. - check the firmware version, should look like 11.14.1.43, 11.14.1.46, ... if any different, don't risk updating it. 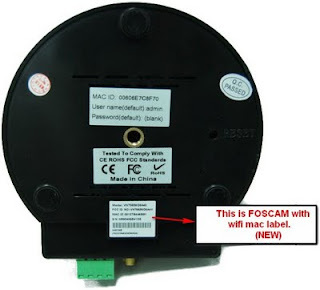 - Finally you can email Foscam directly with the DeviceID, and they will tell you for sure. If the camera appears to be a Foscam, always perform updates through the Ethernet wire, never do it from Wi-Fi. It's a cause of many bricking. I'm ashamed to say it happened to me once! Great! Thank you so much for your prompt respond. This product seems very promising, but FOSCAM should also thank you personally because you are amazing. Helping all these people with your super useful advices, that's priceless. You are amazing Bubbah, thank you in my own name and in the name of all future visitors who may need your assistance. I hope you're going to be able to answer my next two questions (hopefully tonight, I won't be able to sleep unless I find this out, LOL). Can you tell by looking at these things if I have original FOSCAM or cloned version? I just updated it to 11.14.1.43 because I am little reserved when it comes to 11.14.1.46. I've heard quite few people complaining about constant disconnects with latest firmware. Everything went perfectly fine. Camera works like a charm, so I guess I could say I have original FOSCAM IPCAM02. I'd say it's a Foscam indeed. Your current version is good enough so you don't need to upgrade unless you need a "visitor log" and a an option to turn off the activity led. I've got the latest installed and no new problem really. Still I hope they'll publish one more update to sort some remaining bugs. 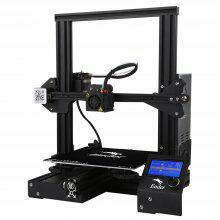 See the firmware history page for more details. Thank you for your respond. Funny thing is, I got Visitor log and the option to turn the activity led light (green one) off in case I want to. I actually keep it off at the moment, and I am 110% sure I have 11.14.1.43 and 2.4.8.12.bin (for the Web interface) installed. Yes, and forgot to mention - for me the most important thing, even though I still have my Windows 7 machine here, now I can even access my camera settings and live video through my Mac. I was able to do that even before this update, because as you may already know, all new Macs are Intel based machines, so we can run Windows natively. I have Windows 7 installed on one of my partitions on my Mac, so if I wanted to do something in Windows, I was able just to boot up Windows and that's it. Plus, my PC with Windows 7 sitting right next to my Mac, so a lot of options. However, this ****.43 update gave me the possibility to access my camera (configure it, pan, tilt, everything) on my Mac, so there is no need any more to boot into Windows first. I'm looking for a "Reflective IR cut-off filter", proposed in an article on Nov.19.2009 here on this site, from Tom. Did someone try'd the filter? Does it work? How's the color with the filter? Does anybuddy knows a address in Europe, to order one of the filters? It is an fs613. I upgrade with EasyNP firmware. I think I just bricked my camera! Uploaded the latest firmware but cant access the WEB UI now. However, I can still ping it etc. Any ideas? install the latest version of ipcam tool and try re-flashing the web ui from it. Thanks Bubbah - worked a treat! Hi Bubbah, I just received an IPCAM from Hong-Kong, with FW: 11.14.1.34 and Web UI: 2.4.8.9, but the McAddress is from other vendor: 00:0D:C5, do you think this can be updated? Finally, after reading many post, I decided to spend a little more money and buy my IP camera in a oficial dealer indicated on the website of Foscam: www.foscam.es. I've already changed 2 times the firmware and it works perfectly. His service responds perfectly. By the way, the latest firmware has really solved a problem of reconnecting the WiFi. Wonderful this website so interesting information. don't dump it yet, check my email! I recently bought 2 X Cameras from China, and they have different Firmwares and UI versions. They must be the "Neutral" cams you talked about. I assume Camera 2, because of it having an older version of the Web UI, doesn't have the PTZ configuration, I just don't get how they send identical cameras, with bizarre firmwares. Any ideas on which way I should go, or just leave them as is? From the fw versions, you have 2 Foscam FI8918W, not FI8908W, so none of the firmwares from this site can be used. The good thing about this new model is that no obscure clone has been produced yet, so it's definitely from Foscam. I would advise that you contact Foscam directly (tech@foscam.com), you'll be surprised that they actually reply quite quickly! Give them the exact DeviceID and fw ver.for each cam (look in the Device Status page)and ask for a firmware update. And last but not least: never update over Wifi, use the Ethernet cable! I'll contact Foscam and update you the results. Just received notice from Foscam that they are indeed Clones, and not originals. Argh and blurgh. And just today the power supply of the one blew.